What is Infinity LWV Flooring? LWV stands for “Luxury Woven Vinyl”. 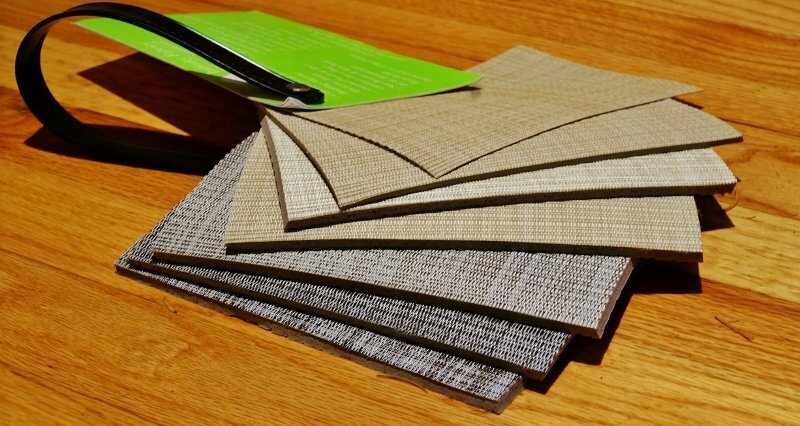 The vinyl material is woven together by the manufacturer Infinity LWV in such a way that the product acts like a hybrid between regular carpeting and traditional vinyl flooring. It is available in scads of different patterns and colors and several thicknesses. 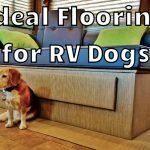 The flooring is extremely popular with the Marine crowd and is now starting to become well-known in the RV industry as an ideal flooring material. 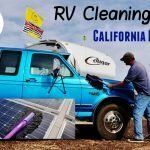 A few months back I was contacted by Infinity and asked if I would like to have a look at their product and possibly do a review from the perspective of a full-time RVer. I jumped at the chance! 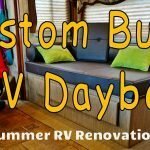 The product looked perfect for my planned RV renovation project over the summer. 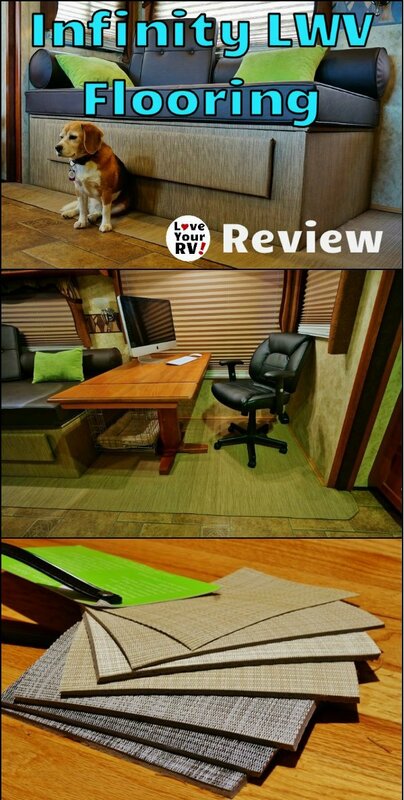 We were trying to remove from our RV any fabric type material like the dirt and hair attracting carpeting. I figured this luxury woven vinyl material would be a good bet. 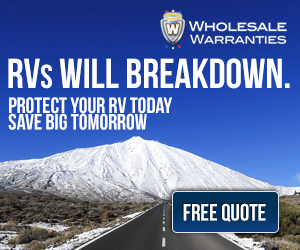 Why is Infinity LWV Ideal for RV Flooring? I found working with the Infinity LWV quite simple. Using an ordinary utility knife, it cuts cleanly leaving a flat thread free edge. To hold it in place I used staples and double-sided carpet tape. Glue is another option. 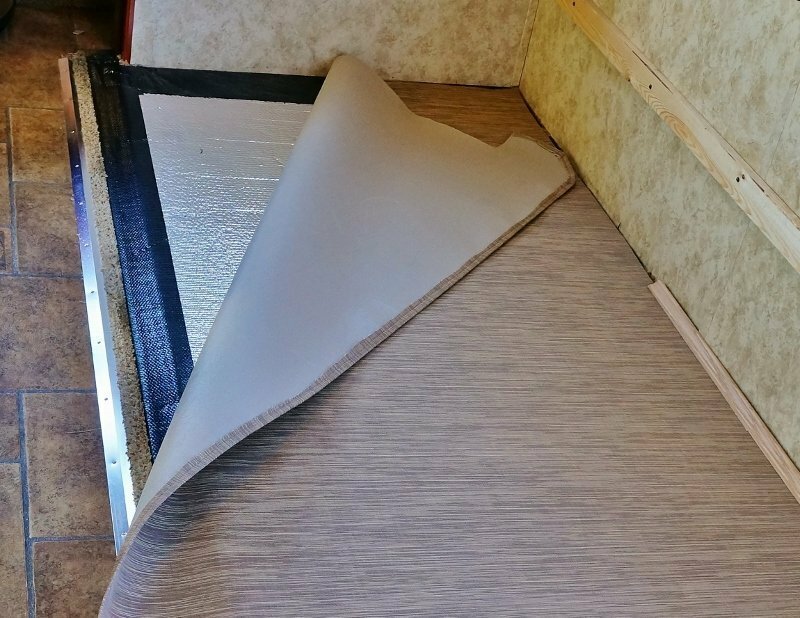 The material is flexible enough to be bent over on itself to make an end seam or as a wrap for covering things like furniture or steps. Infinity Luxury Woven Vinyl is rated for the demands of commercial use and is frequently used in applications such as fitness centers, restaurants, pool areas, etc. I’ve put indents into it several times with heavy items and it’s fully popped back to its original shape each time. 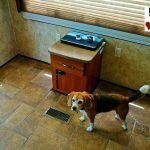 I think it will have no problem standing up to the wear and tear of our full-time RV life, including our little beagles toenails. Deciding on a color and pattern was the hardest part. There were so many options and they all looked great. We finally settled on the Bamboo #3 which blended in well with our rigs earth toned décor and especially well with our new daybed’s chocolate colored mattress. 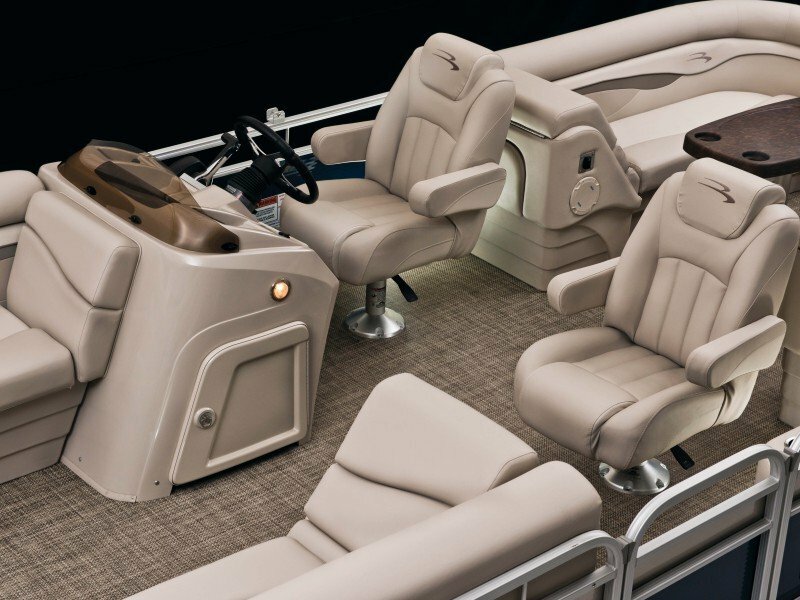 The LWV makes for a sleek and modern look and has certainly jazzed up our fifth wheel interior. Infinity LWV is available with a foam backing built in so unlike regular vinyl flooring it has a nice sponginess to it. There are a couple thicknesses including Compact Cushion “CC” and the thicker High Density “HD”. We went with the thinner CC type as it was being used in the slideout where we don’t really do any walking and it made it easier to use as a wrap for my furniture project. 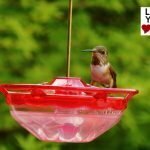 How Did We Use It in Our RV? With a 16 by 8.5-foot roll, I was able to totally replace my 14-foot slide-outs carpet, wrap the new daybed, and cover the hallway steps and portions of our fifth wheel’s bedroom floor. I still had some bits and pieces left over so used it to coat a small coffee table/water pump enclosure I built. I’ve wanted to replace our Keystone Cougars main slide-out flooring for a while now. It came with cheap shag style carpeting which quickly became a magnet to our dog’s hair and tracked in dirt. It’s been a real pain to keep clean and tends to hold on to odors. The problem with replacing it was what to do with the transition seam between the slide out and the main floor. More carpet seemed to be the only solution until I saw the Infinity LWV. Now we have that solved since the LWV acts just like carpet when it comes to covering the slide-out transition. It’s 10 times easier to clean and maintain, plus no more trapped doggie odors. 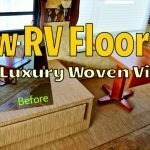 I was still mulling over in my mind how to pretty up my RV daybed project when we got the LWV flooring. After seeing and touching the Infinity material, a light went off in my head. 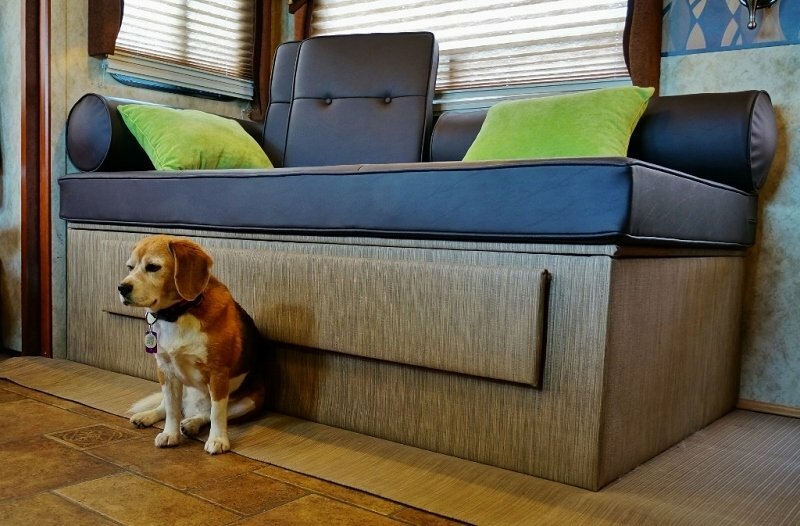 Why not use it to cover the daybed box? 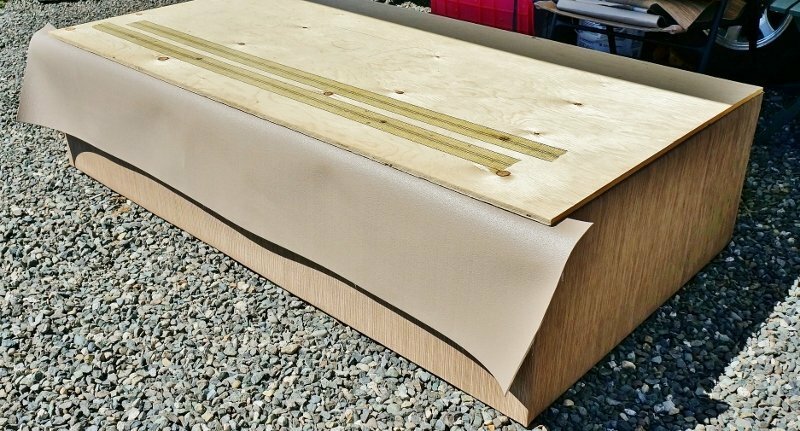 Besides being an easy and attractive way to finish the daybed box off it would go perfectly with the new slide flooring. 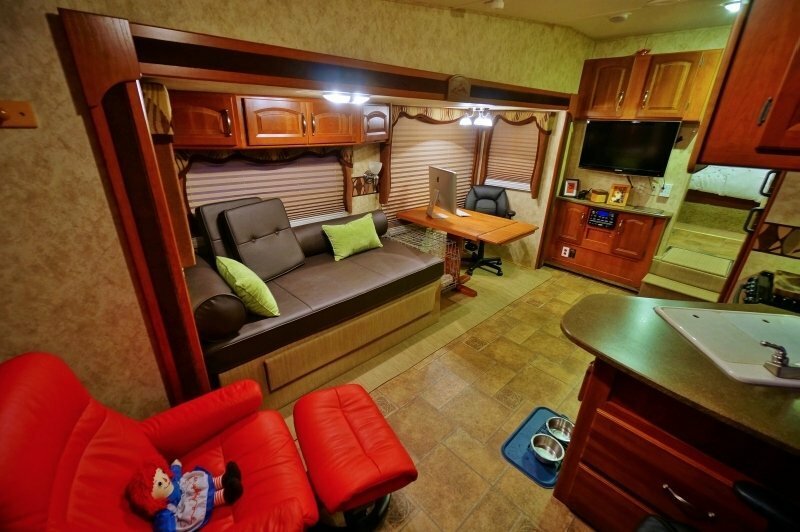 We are more than pleased with how our RV interior renovation turned out and the Infinity LWV was a big part of it. Not only is it easy to clean and maintain, it’s beautiful to look at. So far our beagle “Angie” has dumped hair on it, rubbed her snotty nose all over it and gave it the muddy paws treatment with no lasting effects. Everything just wipes right off. I’m a very happy camper. 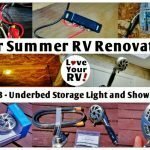 I give it the old Love Your RV! 2 thumbs up! 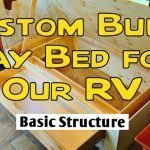 I believe other DIY guys like me will love it.